Check out some footage from the 2012 Joe Gibbs Racing Supercross as the trio of Bubba Stewart, Davi Millsaps, and Mark Barnett put on a show during a recent testing session. 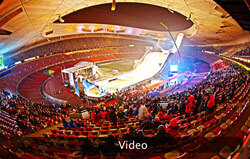 Check out video from the recently completed Air and Style event that took place over in Beijing, China. When the powder settled it was Ulrik Badertscher taking the first place hardware. 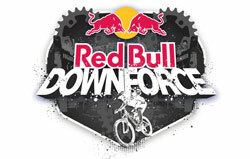 Check out some footage from the recently completed Red Bull Downforce event at Swansea. Take a look as the Burton Snowboard team takes assault on the half-pipe in Aspen. These guys throw some gnarly moves and put the rest of us to shame.